Home / Happy Veterans Day, Mathew Wilkinson! 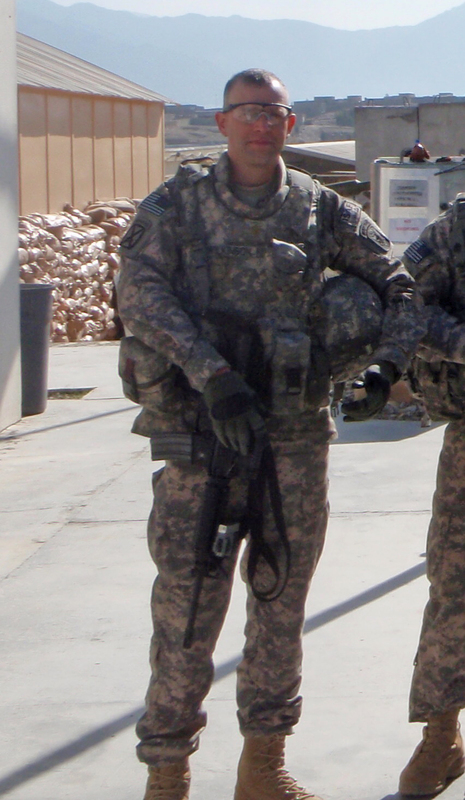 Happy Veterans Day, Mathew Wilkinson! Happy Veterans Day! Today We Honor Our Fellow Sugar Maker, Mathew Wilkinson, For The Service And Sacrifices He Has Made For Our Country. This interview was conducted on Sept 6, 2018 between Jenny Blohm, Smoky Lake Office Manager, and our fellow sugar maker, Lieutenant Colonel Mathew Wilkinson. Jenny: In which branch of the military did you serve? Mathew: I serve in the Army National Guard, I enlisted in September of 1985, attended ROTC at Iowa State University and received my commissioned in 1992. Jenny: What was your rank/role in the military? Mathew: I am a Lieutenant Colonel in the Infantry. Jenny: Where did you serve? Mathew: I have served in several locations both state side and been deployed to Egypt in 2004–2005 and Afghanistan in 2005–2006 and again in 2009–2010. Jenny: Why did you join the service? Mathew: I first joined the service to help pay for college and because I wanted to serve my country. Even when I first enlisted as a young private I knew I wanted to make a career out of the military. Jenny: What are your first memories of your service? Mathew: I think one of the first things I still remember was the first day of basic training. When you first arrive and the Drill Sergeants are yelling at you and you are so confused and wonder what you got yourself into. I also remember the teamwork and camaraderie you formed to work as a team and get through anything they threw at you. Jenny: How did you get involved in the maple syrup industry? Mathew: We started making maple syrup with 10 buckets and cooking on an open fire in 2010 as a fun thing to do with our two young girls. Over the years the disease took hold and we kept adding taps and improving our setup and the quality of our syrup. What started out as a fun family activity has grown into a small family business. Eight years later and we currently run a little over 400 taps, a new Smoky Lake 2×6 evaporator, new sugar house and an RO and are planning to expand to around 1200 taps over the next couple years. We still laugh about sitting outside in a snow storm boiling sap our first year. That was some of the darkest syrup I have ever made, but at the time it was the best thing we ever tasted. Jenny: Any lessons from your service that you transferred over to your maple syrup business? Mathew: I think the dedication and understanding of accomplishing the mission, and attention to small details has made a huge difference in our operation. As you know when the sap runs you boil, it does not matter if it is late into the night or only for a couple hours. Spending my entire adult life in the military I have learned a get it done no matter what. It takes attitude. I think this tied with paying attention to all the small details while making syrup has really helped us to make a high quality product that my family can be proud to put our name on. Jenny: What is your favorite thing about the maple season? Mathew: There are two things that I love about the season and sugaring in general. I don’t think anything can compare to the first draw off of fresh maple syrup at the beginning of the season. As soon as the season ends the hard work for next season starts. All the cutting wood, repairing lines and cleaning equipment is worth the sweet smell and taste of the first syrup draw of the new season. The second thing is the time spent with the members of our state maple syrup association. The maple industry is the only place I have found that everyone is willing to share their knowledge and experience so freely. It does not matter if you are competing for sales or the other side of the state, sugar makers will always lend you a hand or give you advice on how to make your syrup or operation better. Thanks for taking the time to share your story with us, Lieutenant. On behalf of myself and everyone here at Smoky Lake Maple Products, we thank you wholeheartedly for your service. We appreciate all you have done — and continue to do — for our country! Happy Veterans Day! For your service and your product line. I too am s veteran and while my grandparents tapped, reduced and sold maple syrup historically this is my first attempt since retiring from the Air Force in 2011.